“We learned of the pending acquisition of PillPack by Amazon from this morning’s news releases. We recognize that Amazon’s reach, scale and mission will significantly accelerate the adoption of medication adherence packaging in the pharmacy market. 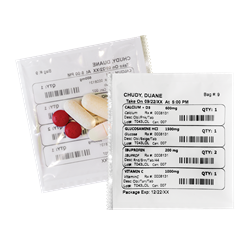 With over 1,000 packaging units currently installed at pharmacy customer sites today, TCGRx is the market’s clear “technology of choice” when it comes to medication adherence packaging solutions. The lack of medication adherence is estimated to cost the U.S. healthcare system nearly $300 billion annually, with approximately 125,000 Americans dying each year due to poor adherence to their medication regimen. We believe TCGRx adherence packaging solutions are vital to improved medication compliance, which produces improved outcomes for the patient and lower costs for the healthcare system,” commented Duane Chudy, Founder and Executive Chairman, TCGRx.